I am a big fan of Brad Bird. The Iron Giant and The Incredibles remain two of my favorite animated films of all time - not to mention his indelible work on The Simpsons. According to IMDB, Bird turned down directing Star Wars: The Force Awakens in order to work on Tomorroland - that is how much he cared about this project. While there is plenty of magic to be had here - the film tires too hard to deliver its message (again and again) and even thought the message is positive, it still feels like a weird fit for the movie. But let's start off on what is good - the film looks amazing. Tomorrowland itself is a wonder - with jetpacks and robots and monorails - the design is great all around. Likewise, I loved the design of the AA's (Audio Animatronics) from the perpetually-smiling (and deadly) agents to the cameos from Kathryn Hahn and Keegan-Michael Key as a pair of toy store owners who are not quite what they seem - it's a great way to introduce these not-quite-human characters. But it's really Raffey Cassidy who steals the show - while she has a few smaller roles, this is really her breakout performance and she does a standout job as Athena, whether she's fighting or holding her own against a titan like George Clooney - I think she has a bright future ahead of her. Speaking of Clooney, he does the role of jaded genius justice. All stubble and pessimism (with some hidden tricks up his sleeve) - this is not the happy-go-lucky character we often see, but a man on the verge of the end. Lucky for him, we have Casey Newton to help him through. Britt Robertson portrays the plucky teenager with zeal - he innate talent for how things work might get her into a little trouble, but also means she is the last great hope for Tomorrowland - and maybe even the world. Hugh Laurie rounds out the cast as NIx - the dour, and, yes, House-like, governor of Tomorrowland - who has turned it from a land of wonder to a crumbling police state. It's not the characters or the look of the film that are at fault, but its the story. The film is supposed to present you with a sense of hope and wonder - and about how this doomed future of ours can be changed if only we care about changing it ourselves, essentially by being positive instead of negative. A great message, for sure, but he film is never subtle about it and continues to relentlessly pound it into the story over and over and over again until it becomes almost a parody unto itself. I can forgive them a bit, but a certain segment of the audience will automatically revile this sort of thing - and I think it's the biggest reason why the film didn't live up to its potential at the box office. 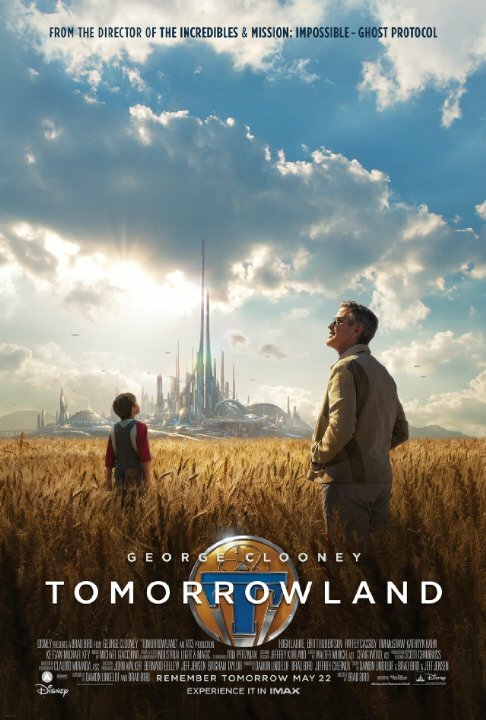 Tomorrowland isn't a bad film by any stretch - it is fun, inventive and I liked the characters. If it had settled down a bit and had been a bit less preachy, I think it would have made a much bigger impact. A misstep for Bird, but certainly not a complete miss as I think it is an excellent family film with a good message - just one that is repeated a bit too much. great post thanks for this useful review. I am going to watch this movie.